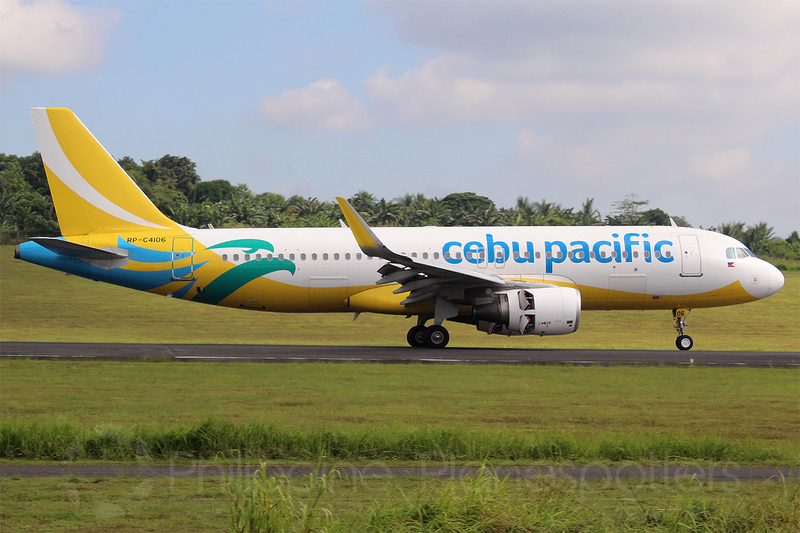 Aviation Updates Philippines - Leading Philippine carrier Cebu Pacific (PSE: CEB) continues to ramp-up its fleet with the confirmed addition of five Airbus A320neo (new engine option) aircraft. Deliveries of the aircraft will commence in the first half of 2019 and will be completed within the same year. FLEET EXPANSION. Cebu Pacific said it is accepting nine aircraft per year up to 2022 to support its fleet expansion. Photo by Dirk Salcedo - PPSG/AUP. The five additional A320neo aircraft is on top of its order of two more A321ceo, 32 Airbus A321neo, and six ATR 72-600 aircraft, which are scheduled for delivery between 2018 and 2022. The additional aircraft will be used to support the carrier's expansion plans. "We see expansion opportunities in new markets, as well as pent-up demand in areas where we currently operate. The introduction of the new generation, fuel-efficient A320neo aircraft to the Philippine market will help us to further strengthen our position in the Philippines. It will also allow us to further pursue expansion of our international route network. From this year until 2022, we are adding an average of nine new aircraft per year to our fleet," said Alexander Lao, Vice President for Commercial Planning of Cebu Pacific. "With higher seat capacity and much greater fuel efficiency, the A320neo will enable us to fly further and more economically. It's the perfect addition to our fleet, allowing us to offer even more compelling fares to more passengers." The single-aisle A320neo aircraft for Cebu Pacific will be equipped with the Pratt & Whitney PurePower PW1100G-JM geared turbofan and has a maximum range of 6,300 kilometers but burns up to 20% less fuel. Cebu Pacific will acquire the five aircraft via an Operating Lease Agreement signed with Avolon Aerospace Leasing Limited, one of the largest aircraft leasing companies in the world. This is second lease agreement between Cebu Pacific and the Dublin-based Avolon following the placement of three Airbus A330-300 aircraft with the carrier. Cebu Pacific has one of the youngest fleets in the world, with a total of 67 aircraft with an average age of 4.8 years. The CEB fleet is comprised of 36 Airbus A320, five Airbus A321CEO (Current Engine Option), and eight Airbus A330; as well as a fleet of eight ATR 72-500 and ten ATR 72-600 aircraft, operated by subsidiary Cebgo.